I just got the following email from Vijay with a review of my book. It is rewarding to see that coming from Vijay. System Center 2012, SP1, Virtual Machine Manager (VMM) is the foundation of the Microsoft Private Cloud. 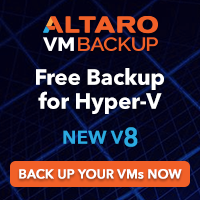 Windows Server 2012, Hyper-V is chockfull of capabilities that are very valuable for customers looking to deploy Hyper-V at scale and virtualize literally any workload. VMM is the management infrastructure that enable customers to deploy and manage Hyper-V at scale. 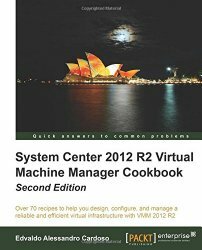 Alessandro’s book on VMM, SP1 is packed with useful tips and tricks that can really help you to get the most out of VMM. This is not just any book on VMM, it is your Swiss army knife for deploying and operating VMM. The chapter on installation itself is worth its weight. Thanks Alessandro!!!! Hey Alessandro – Congratulations – this is great stuff – this has been a while in the making! I’d like to chat to you about the book – can you call me – I think you have my contact details.